Fireworks are purely magical, aren’t they? The beautiful sparks of glitter and color that fill a night sky and light up the land. Literally magic. It is difficult to recreate actual fireworks, especially safely. One afternoon, though, my daughter and I combined STEM with imagination and created our own magical fireworks in a safer, more grounded way. My daughter loves anytime that we can do, what she calls, an experiment. This girl has been mixing baking soda and vinegar together she she was 3. Obsessed with the eruption and chemical reaction, she can’t seem to get enough. So this Fizzy Fireworks sidewalk chalk activity was perfect for her. We have made sidewalk chalk paint before and it was so fun, but we have never used it with a theme. Letting children use their own imagination is always fun, but themes are also a great way to encourage a child to use their imagination in a new and centered way. On this particular day we were talking about the Fourth of July and how fun it is to BBQ, spend time with family and watch fireworks. 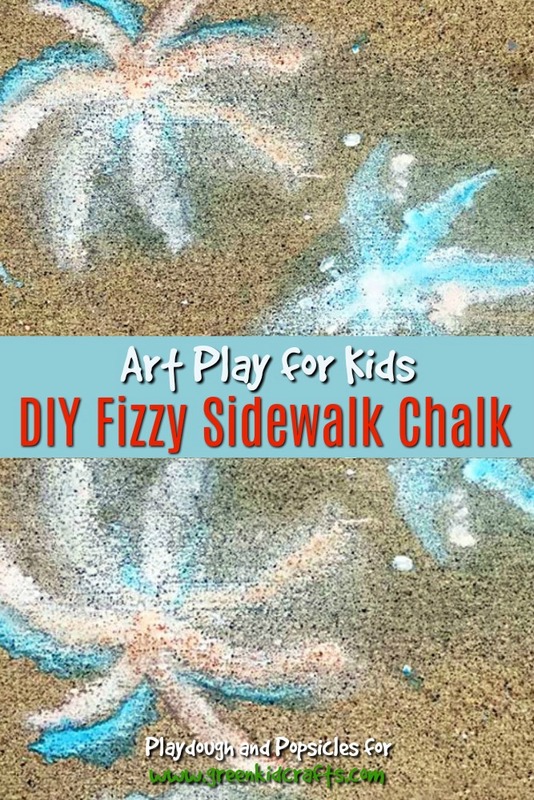 This led to using our sidewalk chalk paint to make Fizzy Fireworks. 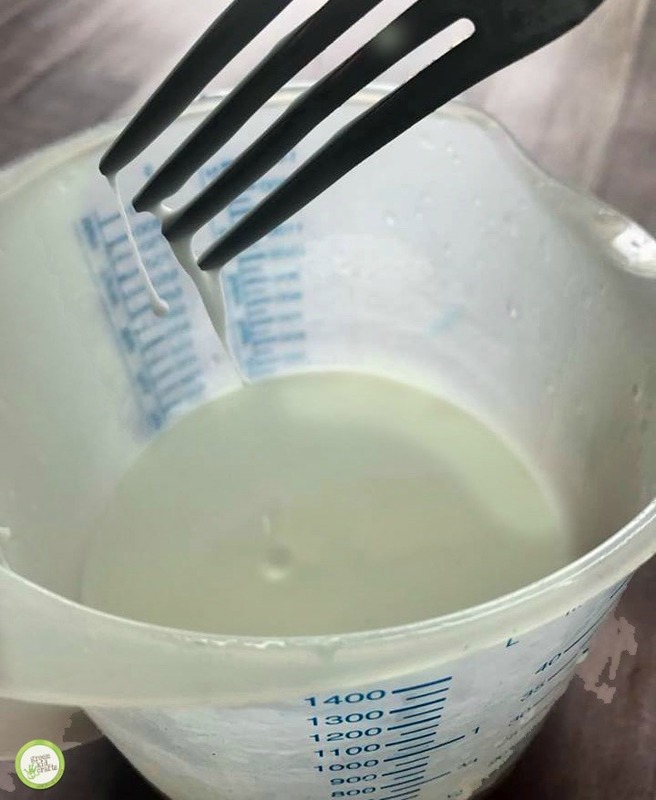 Combine baking soda and corn starch in a medium to large size bowl. Slowly add water, about 1 TBS at a time until the mixture is wet. The consistency should be a thick(er) paint. Keep in mind you can easily add more water if it is not wet enough. Separate the mixture into your divided dish, we used an ice cube tray. 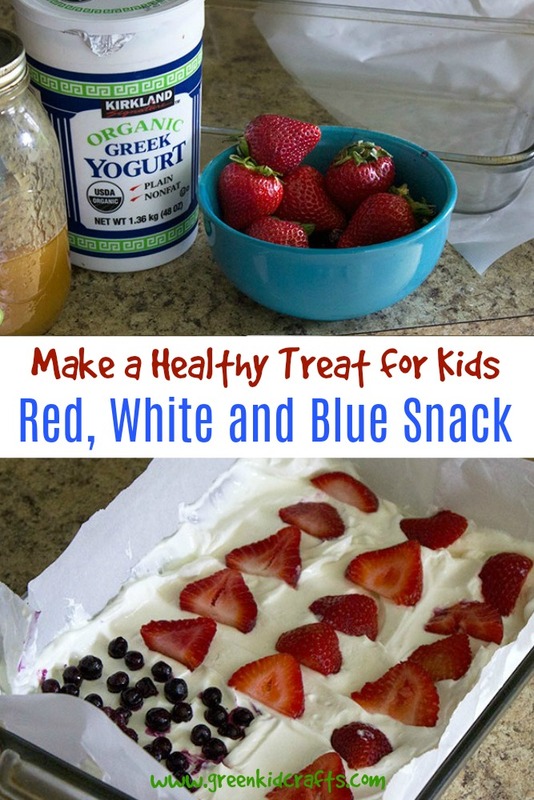 Add food coloring to the mixture and stir well. 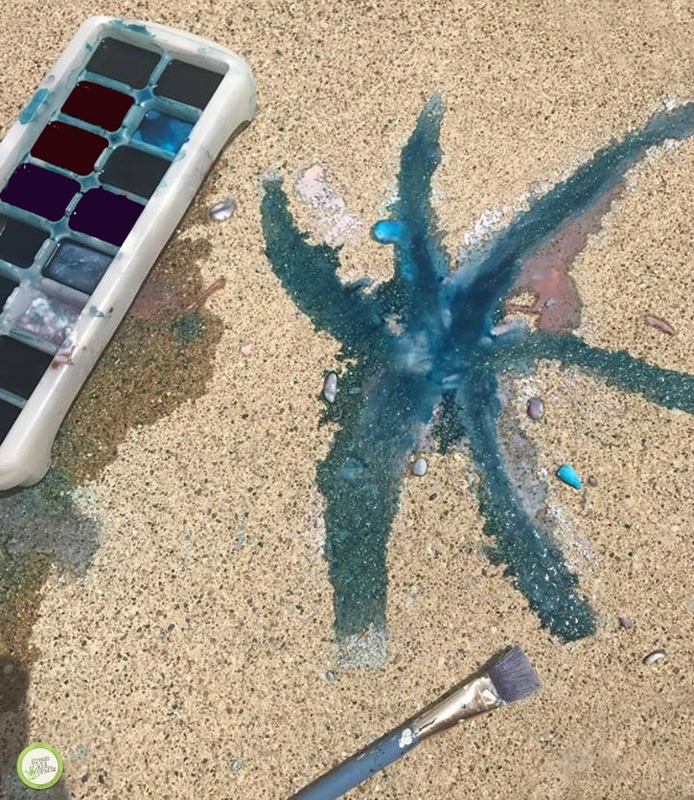 Go outside on to the sidewalk and using paint brushes make firework like designs. It was easier to use large paint brushes, like foam brushes. When you have finished painting on your designs, use the spray bottle with vinegar to start the fizzing process. The mixture of baking soda with vinegar creates a gorgeous fizz. We painted on top of the fizzy fireworks with more baking soda mixture and did the process again. We also created more fireworks along the sidewalk until it was covered in fizzing fireworks. Later that day it was interesting to both of us that the paint and vinegar dried and it created a beautiful almost white firework on the sidewalk. The red color didn’t stay but the blue did and it was still so beautiful. It almost looked as if we had used actual sidewalk chalk sticks. What a fun surprise! 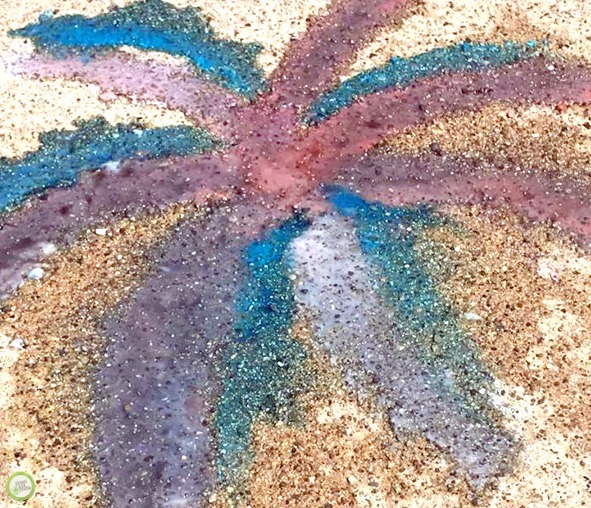 This Fizzy Fireworks activity is a guest post by one of our blogging friends. You can find more fun posts like this at Playdough and Popsicles.